Final chance to comment on Lancashire fracking strategy – DRILL OR DROP? The county has large areas of oil and gas exploration licences and the area near Blackpool saw the start of fracking of the UK’s first horizontal shale gas well last month. A public consultation on a draft revised minerals plan runs until 28 November 2018. The plan, prepared by the county council and Blackpool and Blackburn with Darwen councils, will be used until 2034. After the consultation, the document will be examined at public hearings by a planning inspector. It is due to be adopted in Spring 2020. The revised plan has draft policies on onshore oil and gas exploration, appraisal and production. It specifically refers for the first time to hydraulic fracturing and unconventional reserves. But unlike the minerals plan for North Yorkshire, there is no local definition of fracking, or specific restrictions, such as set-back distances or buffer zones. For appraisal schemes, any gas should be used, rather than flared. At the production stage, there should be the minimum number of well sites and locations should be in the least sensitive locations. “demonstrate that extraction, transportation and reclamation can be undertaken in a satisfactory way and that the potential risk form hazards can be kept to acceptable levels”. Directional drilling could help locate sites away from sensitive areas and could minimise the number of sites needed, the policy states. At the production stage, decision-makers should also consider the need for gathering stations, compressors, scrubbers, onsite generators, pipelines and cables. The strategy suggests that fracking could take place in exploration, appraisal and production stages of development. On shore gas and oil exploration is a backwards step. We are suppose to heading to a cleaner energy future and hydraulic fracking most certainly is not the way. This process is risky and has no place on such a small island, mainly being in England. Caudriila have shown during a small number of test fracks, that it is not safe to undertake, setting of a number of earth tremors. The will of the general public should be listened to, of which the vast majority do not want hydraulic fracking. Please do the right thing and drop fracking, the only people who want it are the Conservatives, when labour come into power, they will put an immediate stop to it. Could be the most opinion changing article ever written in the history of the press but we will never know. If you register with your details like I did you get two free articles per week. I read all your left leaning Guardian articles. Just a case of La La La, not listening from the anti movement. You are only prepared to listen or read information that already fits your way of thinking. There you go again making baseless assumptions about how or what others think and do or how they inform their opinions purely on the basis they don’t follow the same old establishment pacifiers that you do. And who exactly is close minded again? Well, go to a library then crembrule. I read the article as did many thousands of others and became more informed. Now we see why so many antis are not informed on the subject, as detailed by the Tracker Survey. Crem, just buy the Blackpool Gazette? Are you local? 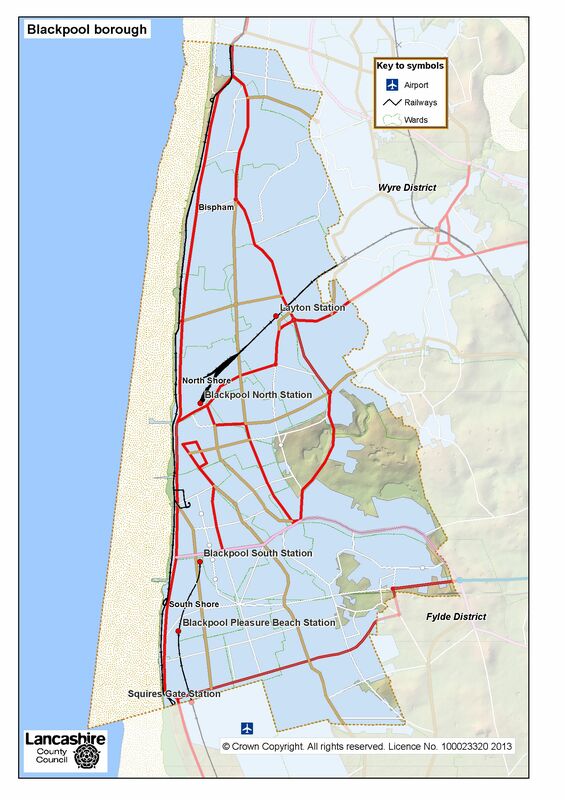 Blackpool is a unitary authority, it doesn’t represent the areas under threat of Fracking. Geographically it is located on the Fylde peninsula but it isn’t “in (sic) the Fylde. The Blackpool Gazette is also part of the Johnston Press which I generally avoid giving my money to as their business models has basically ruined local press all over the U.K. More relevant news received via the Parish press nowadays. The Cuadrilla PNR site drilled West towards the Coast. Trust me that is Blackpool. By your reply you seem to have googled up judging by your research. Where in the Fylde do you live if you claim to be local? Better do your homework if you want to dance with me crem. Now crem back to you being a local??? Where exactly are you local to? Moscow? And I thought a Martin was the fantasist on the site, you clearly have two left feet! Don’t expect Strictly to come calling just yet. The unitary boundary you are indicating runs parallel to the A5230 towards Yeadon Way from J4 of the M55 and kicks South at Merc garage and around the Bookers and the DWP site, then cuts westwards along School Road towards the airport and around the enterprise zone, it hits the coast running along Squires Gate. I am a little concerned that if your map reading skills have any bearing on your work in O&G then it’s no wonder the world is fast approaching ecological disaster. Might I suggest that when in a hole you do stop digging Kishney, advice that Caudrilla should perhaps also follow. For the record I am a Sandgrown’un (that means born and bred in Blackpool and can trace my family’s back to the Victorian expansion of the town. I now live in the sacrifice zone known as the Fylde.